NCP government to focus scientific socialism : Communist leader Manandhar - Integration Through Media ....! Shyam Rimal, KATHMANDU: Veteran leftist leader Bishnu Bahadur Manandhar has viewed that in the present context of Nepal Communist Party’s majority government in place following the sweeping victory in the three-tier of elections, the government could move towards socialism, the scientific socialism indeed, to set an exemplary system across the globe. 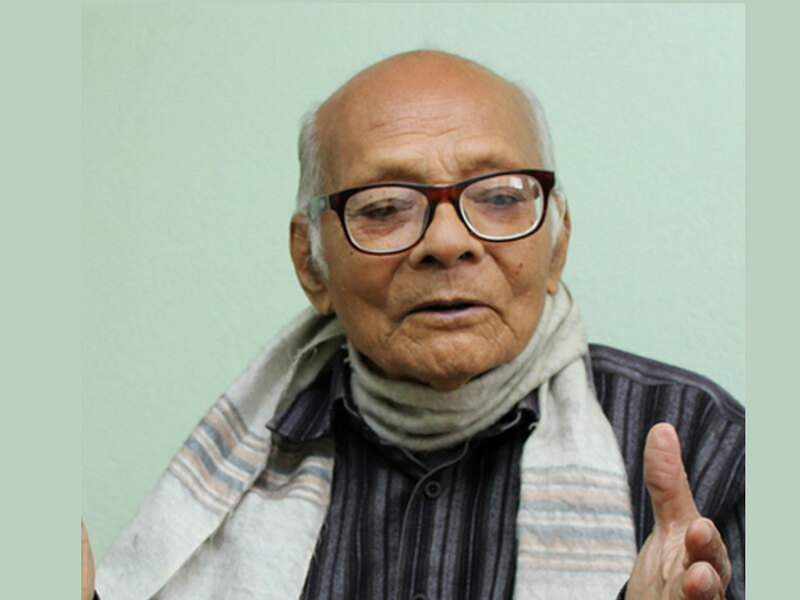 During an interview given for the National News Agency (RSS) at his own residence at Maitidevi, Kathmandu, recently, the communist stalwart who worked against autocratic Rana regime (Nepalgunj-Dhangadhi area) suggested that the State could play significant role on ensuring equality education, health and housing to its people. He, however, said as the socialism was popular at present, the political parties had no option but to make it a refrain. The leader mounted the worry and concern over lackadaisical process of unification between then CPN UML and CPN (Maoist Centre)- the lower rung of the parties are desperately waiting the unification. Failure to bring concrete political proposal despite bringing organizational and statute proposal risks the party that it would deviate from ideology and thoughts. So, it is high time the Nepal Communist Party (NCP) remained aware and alert. Reflection of Panchyat system with gross practice of nepotism and favouratism has become new normal; lavish expenses are made; he expressed the frustration, suggesting the government that it became tolerant toward media criticisms, implemented agreements with Prof Dr Govinda KC and the social security scheme effectively. The leader who selflessly committed his life for the meaningful change in people’s life had further lists to show disappointment- serpentine carcade of the Chief of the State, and of Government, thereby hassling the commoners, allowances prioritized by the local level people’s representatives, but no concrete delivery to the public. “Although NCP talks of Marxism Leninism and advocates for workers, what’s its different stand and behaviour from the Nepali Congress,” he questioned the government and NCP. Unless NCP becomes able to differentiate its ideology and behaviour from the Nepali Congress, its role is not expanded but shrunk. He further suggested that in line with the ML’s guiding principle, the NCP must ensure change. Leader’s lifestyle must correspond to the people’s. “I wish NCP leaders shunned the luxurious lifestyle that is putting the people at the receiving end,” he said. The leader strongly suggested the government and political leadership to be aware of capitalists and businessmen who fulfill their interests by linking the people and the power in the name of Marxism and Leninism. “Ensure possible changes in people’s life keeping the faith on Marxism and Leninism,” he added. According to the 89-year-old leader the old political leaders can help the government in ideological and organizational manner. They can play role by speaking about government’s right and wrong activities on time even if there is no physical presence of such leaders due to their age. His other suggestions to the government ranges from making friendship with the countries across the world to utilizing natural and geographical diversity. “Although there is priority to neighbours in government’s foreign policy, the foreign policy should be all encompassing- not focusing any side special. As both neighbouring countries are rising as the new powers, Nepal’s future can be bright,” he added. The leader becoming nonagenarian very soon even suggested the people and leadership to have critical thoughts on any issue. Born in southern plains- Rautahat, leader Manandhar has now remained neutral after tendering resignation from the post of General-Secretary of the then CPN (United Marxist) since September 23, 2006.